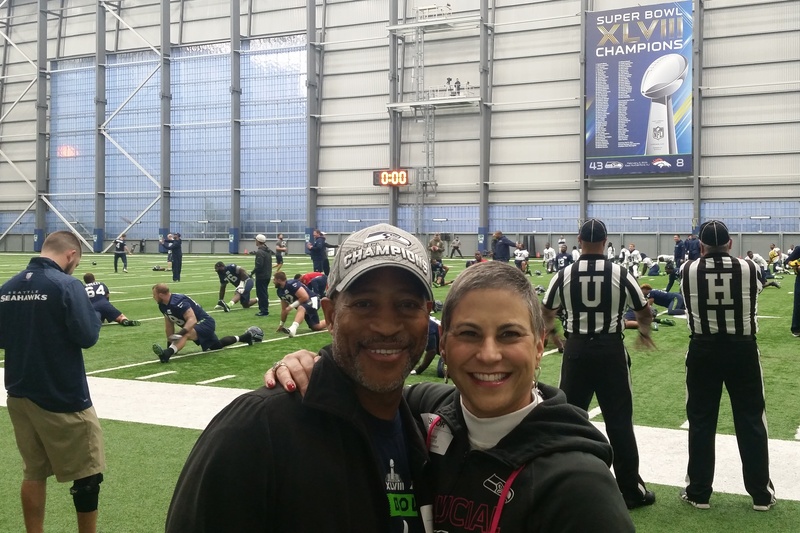 To culminate a busy October as Breast Cancer Awareness Month, Mathis and I were invited to watch the Seattle Seahawks practice in their indoor practice center! 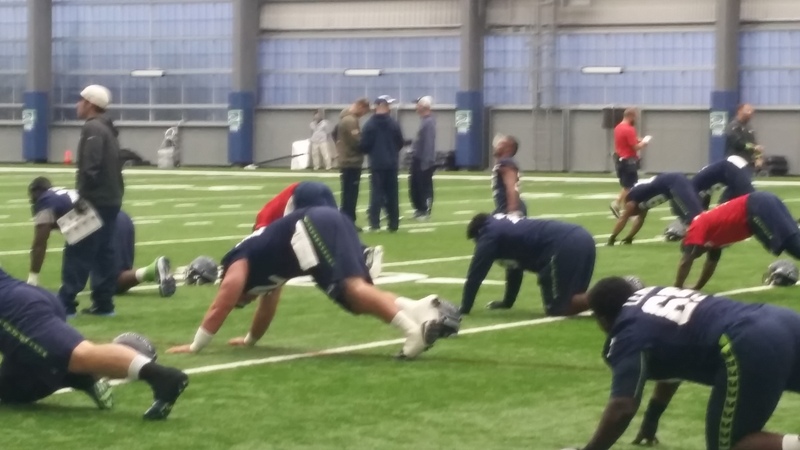 This past Thursday, October 29, we went to the Seahawk’s VMAC or Virginia Mason Athletic Center. Virginia Mason is my medical center and Cancer Institute, too, so everything is wonderfully connected in our community. Don’t you love how the referee letters say UH? These guys are so much larger than they appear on TV or at a game! We watched these huge boys practice from 2:00 to 3:30pm with other guests on the sidelines such as police officers. 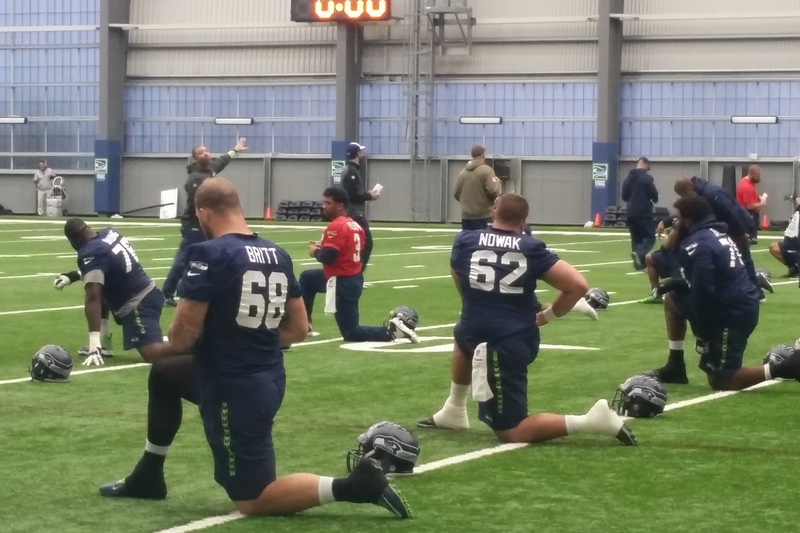 R&B and Hip-Hop music was blaring from enormous speakers while the Hawks stretched, ran drills and ran real plays with real officials. 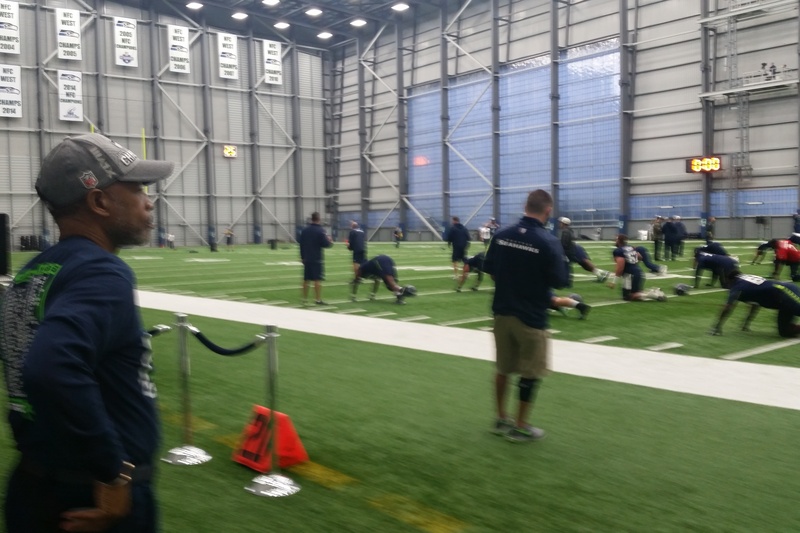 Once the practice was over, Mathis and I were surprised to be the only visitors to be escorted onto the practice field. Then, we were overwhelmed with players and coaches wishing us well on our cancer journey and autographing two footballs. One was a real game ball used in their prior game! Special attention by the team! 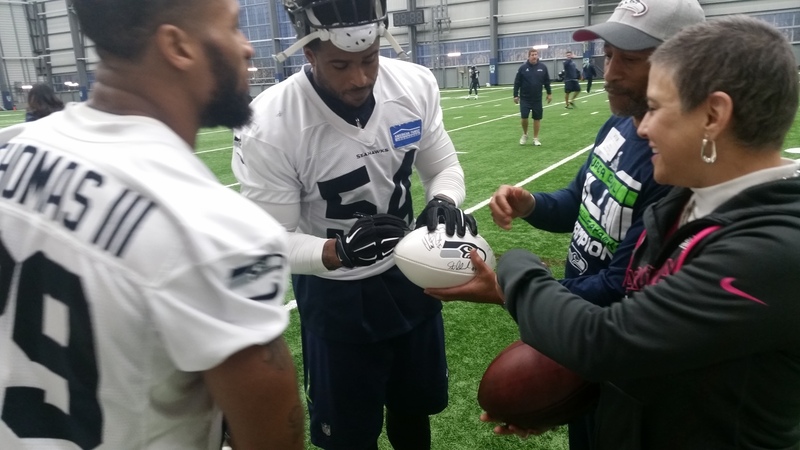 Those we got to talk to were Russell Wilson, Coach Pete Carroll, Earl Thomas, Steve Hauschka, Clint Gresham, Chris Matthews, Bobby Wagner, Assistant Offensive Line Coach, Pat Ruel, and more! 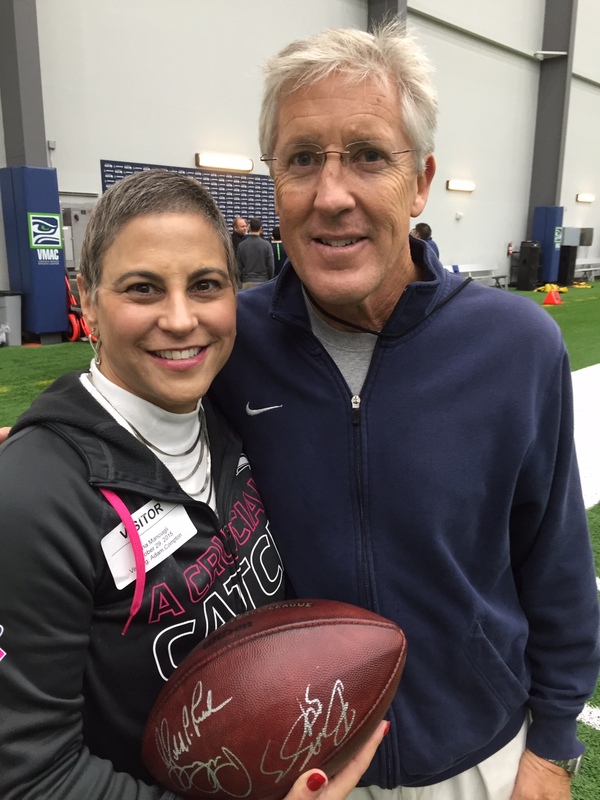 My new friend, Pete Carroll, Coach of the Seahawks! 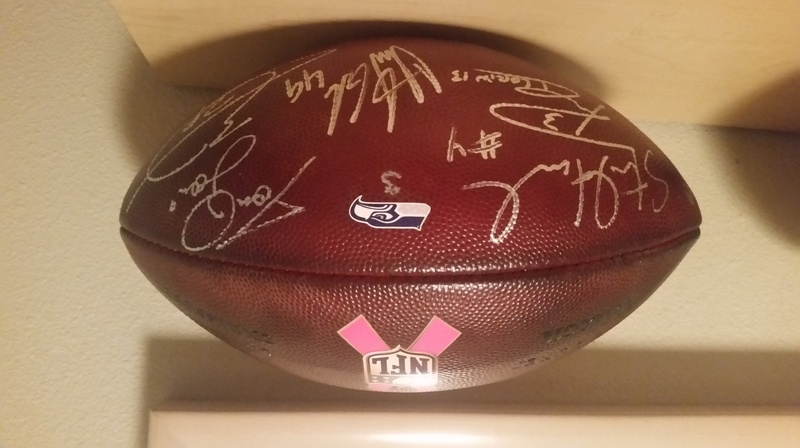 Game ball signed by players and coaches who talked with us! 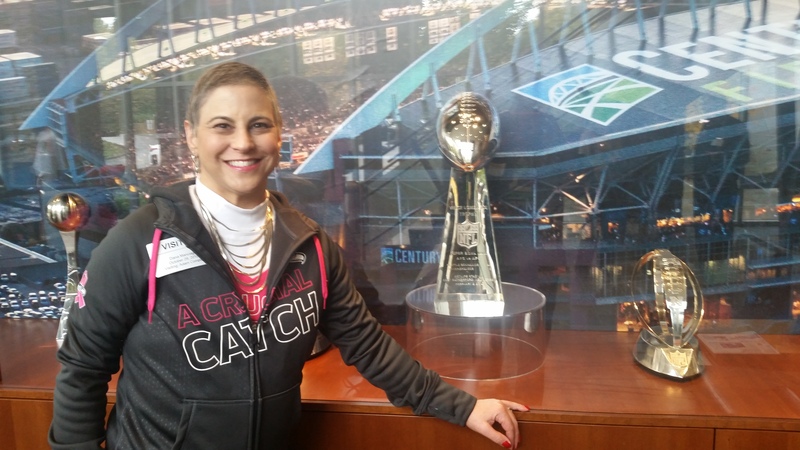 The Seahawks management team, coaches, employees and players really get involved with their causes and donate an incredible amount of time and dollars into supporting breast cancer. 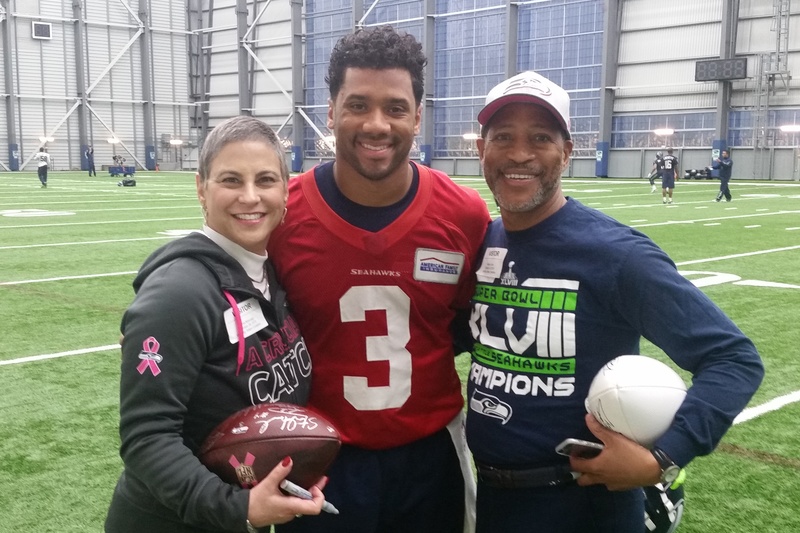 For example, above and beyond what the NFL does, the Seattle Seahawks donated about $40,000 directly into taxi vouchers for patients to use to get to their treatments. All administered by the American Cancer Society of Seattle. During the month of November, the team is focusing their support on our veterans and their important needs. Go Hawks! More photos from this great day can be found here. Mathis and I had a great time doing something we used to enjoy often but just forgot about! 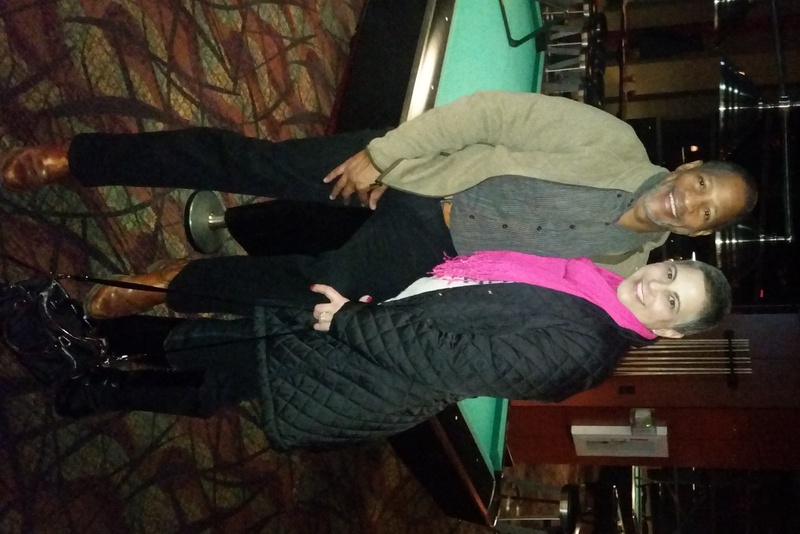 We went to our local pool and comedy club and played pool, had munchies and beverages. We talked about how lucky we are to have all of you in our life so here are some smiles from us to you! Very impressive: the workout center, the attention, the planning, and the fun–all well deserved. Go Seahawks. Go Mathis. Go Dana! Indeed, as noted, your visit sparked their win! And my visit to your blog sparks my drive and inspiration in the larger world. Rock on.